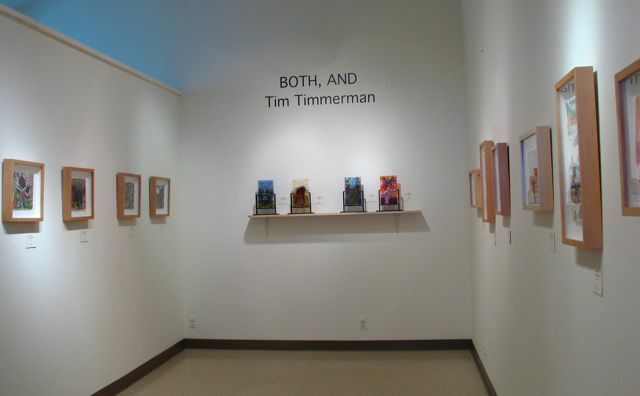 A view of part of "Both, And" at the Newport Visual Art Center in June (Photo Courtesy the Newport Visual Art Center). 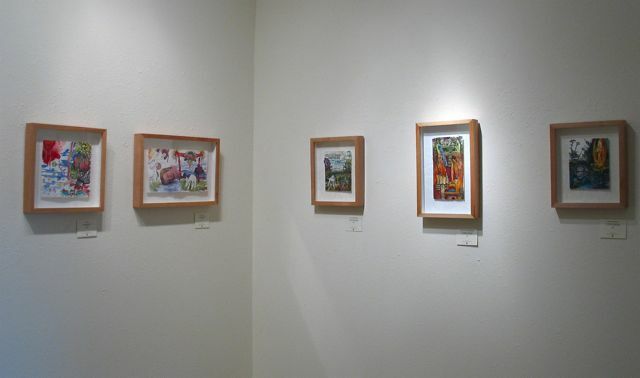 At the exhibition “Both, And” that I had in the month of June at the Newport Visual Art Center there was a small visitor registry. You could write the date, your name, the city you were from and a comment. Not much room, but you could write a little remark just the same. I thought you might find them interesting. And here they are, the comments in alphabetical order with punctuation etc… They were very kind indeed. Now I know I may regret this…. at the next exhibition I have you may write some odd comment just to be funny huh? This entry was posted in Curious Endeavors and tagged exhibition comments, exhibition thoughts, Newport Visual Arts Center, the things people say. Bookmark the permalink. Very cool seeing the comments. Sometime you should put a little comment pad under each painting and see what happens.